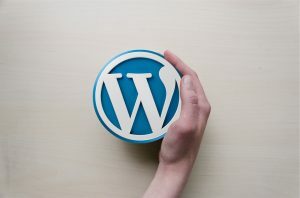 If you have just set up a website or are putting a plan in action to get one started, there’s a high chance that you’re going to be using WordPress as a content management system (CMS), host, or both. WordPress is one of the most popular choices of CMS out there, mainly because it provides an excellent, user-friendly interface and takes a lot of the work off your hands when it comes to setting up and perfecting your site. However, although WordPress has some great built-in SEO tools which come as standard with any package that you choose, those going for the Premium or Business package should definitely consider using an extra WordPress SEO plugin in order to get the best results from their search engine optimisation efforts. WordPress SEO by Yoast is a free plugin, and is arguably one of the best SEO plugins out there for WordPress site owners. Using this plugin, you can carry out a whole range of different SEO tasks, for example adding the meta value for both the homepage and single posts, creating sitemap files, social SEO, and control indexing of your blog. This plugin is a very useful tool which allows you to easily find broken links – both external and internal, in order to remove them. Since 404 links are nothing but a complete dead end for search engine crawlers, they can harm your SEO and have a negative effect on your rankings. This plugin is a handy tool which allows you to quickly link whichever words you choose to any post link. Hugely useful for on-page optimisation, you can use this plugin to help give your site’s ranking in the search engine results a boost when you find out which keywords rank highest for your site. However, before you get started with this plugin, be aware that you need to be certain of your internal linking, and also be aware of Google’s linking algorithm. By using a plugin which optimises your images, you will be able to drive more traffic to your site thanks to results showing up in image search along with text search. Although you will need make sure that you give the image a descriptive name, this plugin will add ALT attributes to any images on your site. Last but not least, this WordPress plugin allows you to control all of the links on your website. This tool allows you to monitor each and every link on your site, giving you the chance to discover any spammy links, bad anchor texts, and other links which are giving away link juice as well as track those which are doing well. With an intuitive and super-fast interface, LinkPatrol provides WordPress site owners with a quick and efficient way to stay on top of any linking issues on their site. SEO is absolutely vital to get your WordPress site ranking high in the Google SERPs, and any one of these plugins can help you achieve that.